Junior train conductor badge stickers that can be customized for your railroad or train business. 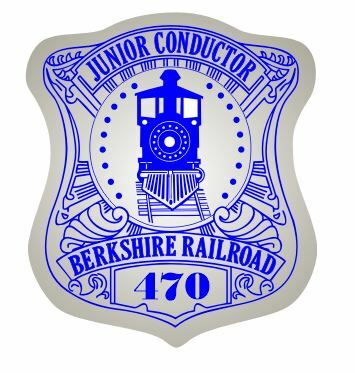 Junior railroad badge stickers are ideal for community events, educational programs, train excursions, holiday promotions. Junior conductor badge stickers can be printed on glossy white, shiny gold foil or shiny silver foil. Made and Printed in the USA.